﻿ Lawrence Orchards - Ohio. Find It Here. 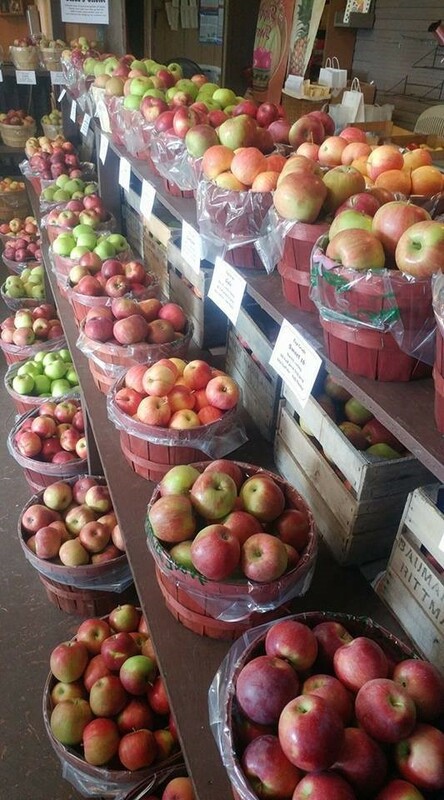 Lawrence Orchards is a family-run apple orchard and farm market located in Marion, Ohio. The first trees were planted here in 1923. Presently we grow 26 varieties of apples as well as lots of other tree fruits, small fruits, and other vegetables. "Just went yesterday with my kids to pick some Honey Crisp and make memories! Had a wonderful visit and the kids loved the donkey that seemed to follow my daughter as we walked back to check out! Sooooo many apples to pick that looked great! First time my little guy ever tried an apple was here last year and I have been coming here every year since my girls had their preschool field trip here years ago! Love it here!"